There was a time when two of the ultimate names in the British automotive industry was a single entity. It was an interesting case of co-development where two very different and distinctive motorcars were fused into one body, one driveline, and one form of vehicular execution. Even with the oft occasion of separate development, the badge and the shape of the grille only denoted one brand over another. We know many instances of badge engineering in the past and today. However, to think that once upon a time, Rolls-Royce and Bentley were one and the same. How did they get to the point of being a singular entity producing some of the most desirable automobiles of its time? Keep in mind that both Rolls-Royce and Bentley were two separate automobile manufacturers of great distinction about a century ago. The first of the two equals were Rolls-Royce. Henry Royce began as a proprietor of an electrical and mechanical firm. Royce’s expertise in these fields lead him to develop his first automobile in 1904. After he produced his first automobile, Royce met automotive retailer Charles Rolls at a hotel in Manchester. What transpired was a partnership that forged the name of Rolls-Royce and a lineup of very expensive automobiles that catered to those who can afford their products. Models came with a choice of four engines, ranging from a two-cylinder to a six-cylinder. The latter engine was developed further with more horsepower for the debut of the 1906 40/50. This would become the Silver Ghost in later years. Rolls-Royce’s prowess in mechanical engineering not only produced the finest automobiles in the world of the pre-World War I era. They also developed airplane engines. By the time Great Britain entered the war, the government asked Rolls-Royce to develop such an engine for their fighter and bomber planes. The Eagle proved to be very reliable for the war effort in the skies. It would start another great business for Rolls-Royce – aerospace engines. When the war was over, a gentleman by the name of W. O. Bentley began developing and manufacturing his own automobiles under his last name. Instead of creating large luxury automobiles, Bentley concentrated on what he and his brother learned about the use of aluminum in cylinder towards developing a powerful car capable of performance inspired from the Sopwith Camel fighter plane that helped with the WWI effort for Great Britain. Bentley’s cars of the 1920s were made for competition. Their wins at Brooklands and the 24 Hours of Le Mans throughout the decade cemented Bentley’s reputation as sporting, high-performance cars that offered no compromise and expense to their owners and drivers. Bentley began to use superchargers on their cars starting in 1926 to increase performance thresholds on the track, as well as for their well-heeled clientele. The 1920s were also a decade of growth for Rolls-Royce. The Silver Ghost was an old car that held prominence for their owners and passengers. However, Rolls-Royce wanted a piece of the growing post-WWI market in the USA and on its home turf. For those who cannot afford the Silver Ghost, there was the Rolls-Royce Twenty – billed as their “small car.” To replace the aging Silver Ghost, Rolls-Royce introduced the first Phantom in 1925. This would be a major step in the company’s development with a car made for those who demanded more from their machines. They were mostly for those who employed a professional driver, yet there were plenty of Phantom customers who had no qualms driving it themselves. This tradition holds true today. The Great Depression began to affect the world’s economy after the Stock Market Crash of 1929. Bentley’s financial health sank as it could not weather the economic downturn. In 1931, Rolls-Royce reached out to Bentley regarding an acquisition transaction. 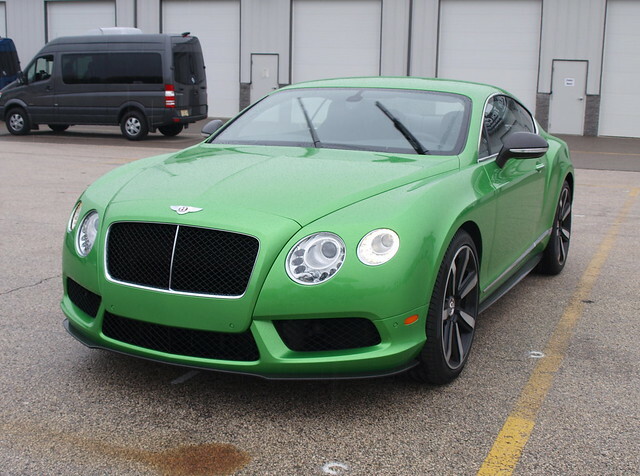 What transpired through this transaction was a change in strategy for Bentley – the end of the big-engine performance car. Rolls-Royce felt that they could not offer both the Phantom II and the Bentley Eight as they competed against each other for the same customer. Rolls-Royce ended production of the big Bentley and sent the “smaller” Bentley to be built as a sporting version of the Rolls-Royce 20/25. This would begin a period of badge engineering for both Bentley and Rolls-Royce, with the latter taking the lead in developing all vehicles for both brands. This new strategy did not sit well with W. O. Bentley. The reputation he gained from making championship cars was reduced to putting his badge and grille on a Rolls-Royce. By 1935, Mr. Bentley left the combined firm for another luxury automaker – Lagonda. Rolls-Royce soldiered on with newer products through their two brands and combined dealership network. It did seem apparent that the acquisition of Bentley by Rolls-Royce would by a loss for the performance car marque. This perception was somewhat true. This all played out after World War II, when the company began building cars at their Crewe facility. Before the war, Bentley was mainly coach-built with a common chassis provided by Rolls-Royce. 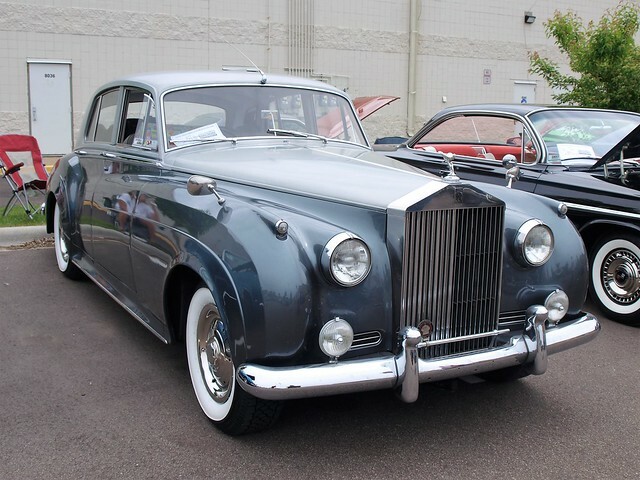 By 1946, Bentleys were made with singular bodies through one of Rolls-Royce’s acquisitions prior to the war. In meantime, Rolls-Royce had in their possession one of the finest coachbuilders in the UK – Park Ward. In 1959, the company would purchase one of Park Ward’s main rivals – H.J. Mulliner. Soon, the coachbuilding arm of the company would be combined into one bespoke entity, providing both Rolls-Royce and Bentley with some of the finest coachwork in the world. The combining of the two coachbuilders would benefit both brands in the long run. Yet, both Rolls-Royce and Bentley tried to distinguish themselves even with common components and mechanicals. The 1950s yielded some beautiful machinery – namely the Bentley R-Type Continental and a duet of majestic Rolls-Royces – the Silver Cloud and the Phantom V. All three made a statement that not only both brands were willing to modernize with the postwar times, but they signaled a return to normalcy in the UK after years of rebuilding of its society from the war. It always seemed as Rolls-Royce and Bentley were always catching up with the times. The world looked towards sleeker, less fussy cars in the 1960s. Cadillac lead the luxury car market in sales volume, as they tried to catch up with the thoroughly modern Lincoln Continental. Mercedes-Benz took a bit longer to catch up in gaining the favor of luxury car consumers, though they did introduce the mammoth W100 600 series of limousines. 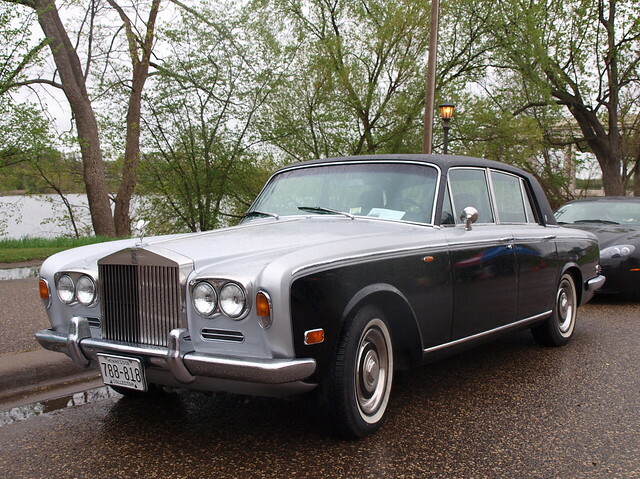 By 1965, Rolls-Royce introduced their monocoque bodied Silver Shadow. For the brand’s faithful, this was the way forward. It also retained the old-world ambiance of mother England inside, despite some modern amenities available to attract a younger consumer. Still, it was not lower, sleeker, and in your face as a Cadillac or an Imperial. It was stately, even with its relatively modern silhouette. The continued practice of badge engineering continued as Bentley received the Silver Shadow with its own Winged-B and curved grille. The T Series did not give the impression of a sportier Rolls-Royce. It was too stately for its own good. Attempts to distinguish the Silver Shadow and the T Series were simply null. For example, when the two-door coupe and convertible were introduced in 1967, both brands had a version each. Though Pannarin worked with Bentley on a few projects, ultimately, the more modern Camargue coupe would become solely a Rolls-Royce model. It just seems that Bentley could not catch a chance to become a more distinctive car than its primary brand-mate. This was exactly the public’s perception. Rolls-Royce flourished throughout the postwar era by retaining its top billing on the automotive food chain. If you asked anyone outside of the UK what a Bentley was during the 1960s, you would have a look of bewilderment. They might remember the R-Type Continental of the mid-1950s or the Le Mans champions of the 1920s. That’s about it. Bentley was relegated to second-billing…or worse. Perhaps there was a chance for Bentley to break out. The combined company suffered a major fiscal setback in 1971. The cause of this corporate financial crisis was not the fault of its automotive business. It was from a big turbofan engine called the RB211. The development of this engine for the Lockheed L-1011 wide-body airliner siphoned a lot of money from the company’s coffers enough to head into a voluntary receivership. The British government agreed that Rolls-Royce was “too big to fail” for the products they produce and the workers they employ across the country. Instead of nationalizing the company, a new independent firm was formed out of four units of the old company. The status of the car division was in semi-flux. It was not until 1973, when Rolls-Royce Motors and some sort of future was outlined. 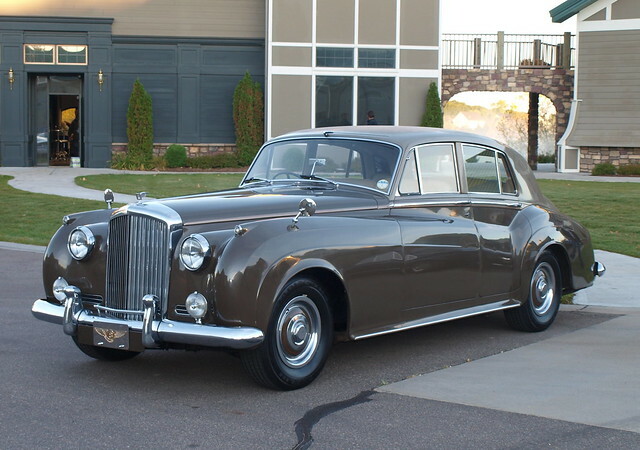 The Silver Shadow and Bentley T Series remained in production through these transitions in ownership, mostly unchanged. Eventually, Rolls-Royce Motors was unsustainable in its current state of corporate and financial health. After all, it was the British taxpayers that floated the company for nine years. That was until the aerospace firm Vickers purchased Rolls-Royce Motors in 1980. Even this development could be best described as part-savior, part-temporary solution. Vickers did help fund the production of an all-new Rolls-Royce and Bentley car – the Silver Spirit/Silver Spur/Mulsanne. 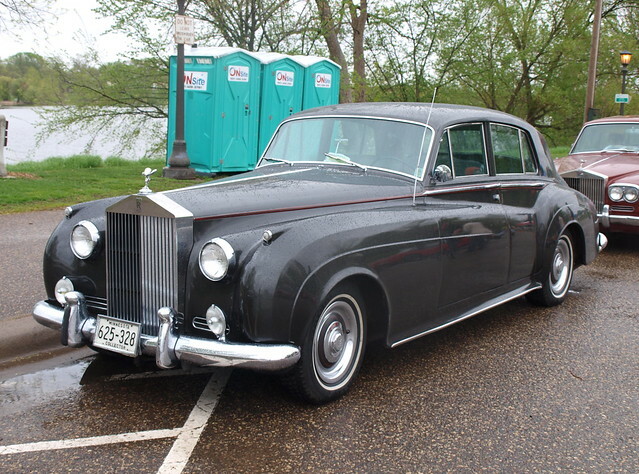 After 15 years of the Silver Shadow, the modern Rolls-Royce/Bentley was a welcomed arrival in 1980. It was modern – a contemporary of its time. Yet, it already wore a tarnished crown. The year 1980 saw a lot of change in the luxury car marketplace. Cadillac still hold the crown in terms of sales, but its products have been outclassed by its European rivals. The W116 Mercedes-Benz S-Class became the car to aspire to own during the 1970s. Jaguar’s XJ soldiered through under British Leyland management resulting in a reputation for poor quality, despite being known for its classic British cabin. By 1980, Mercedes-Benz and Jaguar introduced new versions of their flagship sedans. BMW knocked on the door with their big 7-Series flagship, which received a boost from the new upwardly mobile class. It seemed fitting that the Rolls-Royce Silver Spirit would arrive right into this sea change of automotive luxury. The wealthy still hold a regard for Rolls-Royce, which helped in keeping the new car afloat through the 1980s. There was also another development in the 1980s based on this new car. The return of Bentley as a performance-based brand. From the Mulsanne came a series of new models that included the addition of turbocharging to the big 6.75-liter V8. This development spawned a new series of performance Bentleys, including the Mulsanne Turbo and Turbo R. The same engine was dropped into the Continental convertible. These turbocharged cars helped raise the profile of the Bentley name again. In 1998, a new twist of the plot took place. Vickers felt it was time to let go of Rolls-Royce and Bentley. No reason was given for this move, but one could speculate several of them – ranging from financial feasibility to maintain automotive production to a sale towards reinvestment in the aerospace business. Sadly, there was not a feasible bid within the UK to ensure full British ownership in keeping of the traditions of both brands. However, there were competing bids by BMW and Volkswagen for the automotive unit. It made sense for BMW to take this unit of Vickers, since it already supplied the engines for both Rolls-Royce and Bentley. In the end, Volkswagen won the bid. That did not sit well with BMW for many reasons beyond being an engine supplier. While the German auto giants fight for these prestigious British marques, a final joint product was introduced just prior to the transaction. The Silver Seraph was a handsomer evolution of the Rolls-Royce sedan, now powered by a V12 BMW engine. 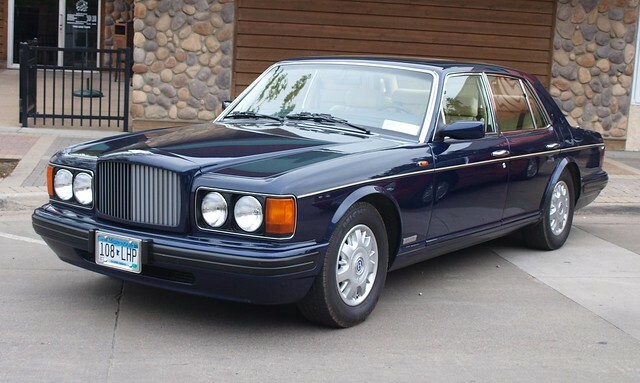 Bentley had their own version, the Arnage, which featured their own distinctions beyond just the radiator grille, badge, and the use of turbocharging. You saw more personality inside, including a console mounted gearlever, instead of the console mounted one in the Rolls-Royce. Bentley also had a twin-turbo V8 supplied by BMW. Because BMW supplied engines and components for these new cars, the fight for the Rolls-Royce became intense. The question was whether BMW or Volkswagen be able to retain Bentley along with Rolls-Royce? If they are to separate, could their image be reborn under new management? In 2002, the world received the final verdict. BMW retained the trademarks necessary to rebuild Rolls-Royce from the ground up. Volkswagen would retain the Bentley trademarks, the Crewe plant, and the Arnage. However, they would also reinvent themselves thanks to an all-new coupe – the Continental GT. It turned out to be an amicable separation that took 71 years to make. Because of the current lineups of Bentley and Rolls-Royce, we forget that there was a long stretch of time when only a few details separate these two great brands of British lore. Once of separate histories, there was inequity and a muting of its greatest triumphs that could not be kept quiet. Through later turmoil, Bentley and Rolls-Royce survived and are now flourishing as two of the most desirable automotive brands in the world. Even as they are now no longer British owned, their individual heritage has been restored under newly formed vehicles that will carry them into the future. The Flying B and Spirit of Ecstasy are symbols of more than a century of fine motorcars. They are worth celebrating under this freedom of expression for their individual legacies.